Almost everything about the AirHogs’ existence feels folksy and draped in Americana. So it came as a surprise to the team’s small group of season-ticket holders when, at a meet-and-greet with team executives before the start of the season, Onyett told them that their little hometown ball club would be undergoing a first-of-its-kind experiment. Instead of fielding a typical American Association team of fringe prospects, has-been minor leaguers, and guys trying for one last shot at The Show, the 2018 AirHogs would, in effect, lease out the majority of their roster to players from the Chinese national baseball team. Ten veteran non-Chinese pros—five pitchers and five position players—would supplement the national team squad, acting as on-field ringers and off-field mentors. The Chinese have long been afterthoughts in Asia’s baseball pecking order, lagging well behind their athletic and political rivals Japan, South Korea, and Taiwan. Few people in China watch or play the sport; the development system is tiny, and the country has yet to produce even a high-minor-league-caliber player. (Japan, South Korea, and Taiwan have all produced major-league stars.) But with baseball returning to the summer Olympics in 2020 after a twelve-year hiatus, the Chinese government saw a reason to invest in the sport. Shipping their players to North Texas to play one hundred games against American pros would be the first big step. When Green and Norton first heard about the impending arrival of the Chinese players, they didn’t know anything about the history of Chinese baseball. But they did know about their team in Grand Prairie. 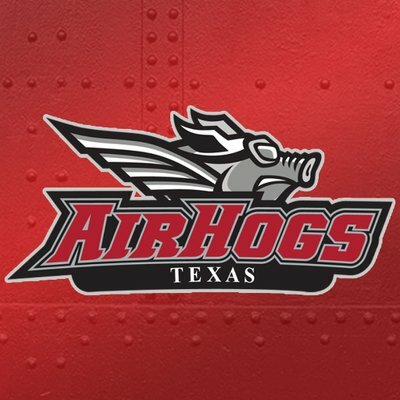 The AirHogs had won the American Association championship in 2011, but lately, they’d been more like the Bad News Bears. The team hadn’t had a winning record since 2013, they’d finished in last place two of the past four seasons, and—with barely a smattering of fans attending most home games—it sometimes seemed like they might not be able to stay in business. So when Green learned that China, a nation of 1.4 billion, was sending the “cream of the cream” of their baseball talent, he couldn’t help but get excited. Norton was even more hopeful. “I wondered what the other teams were going to think when we started bashing the pants off them,” she said. When the AirHogs’ season began on May 18, Green and Norton quickly recalibrated their expectations. The Chinese national team players that arrived in Texas were young, inexperienced, and far from world-beaters. “They didn’t know what was going on. They would do some things that a Little League team would do,” Green said. Go read the rest, you’ll enjoy it. As was the case with Rinku Singh and the “Million Dollar Arm” experiment, the population of China is so great that the talent pool for baseball would be very deep even if the sport only developed in a limited fashion. Bringing the Chinese national team here to get their feet wet amid higher-level competition was a super idea, one that I hope leads to something bigger. Now I want to take a road trip to Grand Prairie and see these guys for myself.